Your knowledge in an emergency situation may be the difference between life and death! If you are a healthcare professional then you understand there is no room for error and no time to waste in an emergency situation. You have to know precisely what you are doing at all times. Your knowledge base has to be strong and you must be able to reactively recall the most up-to-date information at a moment's notice. Patients' lives may be in your hands and your knowledge of emergency medicine may be able to save them. 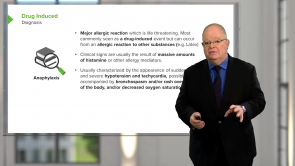 Review emergency medicine with Dr. Brian Warriner, an experienced clinician and educator. Enter his virtual classroom and expand your knowledge base via high-yield lectures supported by interactive quizzes, topic reviews and mnemonics. Your knowledge in an emergency situation may be the difference between life and death. Don't delay, start reviewing today. 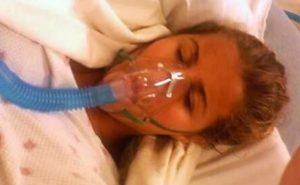 While anesthesia has become safer and safer in past years, there are some rare but dreaded complications, which can rapidly worsen the state of the patients and can even lead to their death. A prospective physician should be familiar with these emergencies. An important complication in the context of anesthesia is malignant hyperthermia, an acute functional disorder of the skeletal muscles. Here, you can learn how it develops and how malignant hyperthermia is treated. Anesthesiology often solicits the management of emergencies, both patient and doctor induced like massive hemorrhage, increased intracranial pressure, cardiac disease, drug-related errors and surgical errors. This article offers a brief prologue, followed by the management of these conditions. 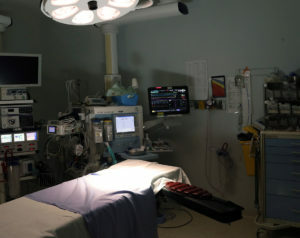 The patient is exposed to a variety of medications, intravenous fluids and latex in the operation room. 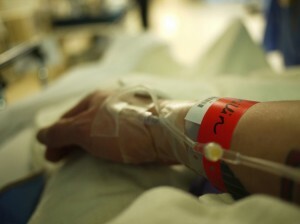 Anaphylaxis or type I hypersensitivity reaction can present during anesthesia as skin redness/rash, bronchospasm, laryngospasm, hypotension or circulatory collapse and can be life-threatening. Preoperative assessment of allergies, asthma, allergy testing (if possible), prompt diagnosis during anesthesia and rapid management are essential to prevent adverse outcomes. Nerve cell, skeletal muscle cell, as well as myocardial muscle cell excitability, are influenced by serum potassium levels, and elevated serum potassium levels (hyperkalemia) reduce the electrical potential of these cells leading to cardiac arrhythmias and cardiac arrest. Anesthetic drugs, like succinylcholine, can precipitate hyperkalemia in susceptible patients. As the treatment for hyperkalemia does not follow ACLS guidelines for asystole, it is important to detect the condition early and restore normal sinus rhythm to prevent fatal outcomes. Superb ! it orientate me with the big picture and then dwells into the vital tricks and trade of the specialty !!! greatly recommended for medical students as a foundation course and interns as re enforcement of what you have learned !!! a very practical lecture and truly worthwhile to invest in! expression is good and language is good,short video in english.